Q. What topics will you be exploring for NSC? Marketing, events management, business ops and, generally, inspiration. And I’ll probably throw in some stuff about sustainability and equality if I get the chance. Q. If you weren’t a designer, what do you think you would do? If I hadn’t stumbled across marketing as a profession, I think I would be working in journalism in some sort of way. I love researching, getting fully immersed in that topic, and then writing something based on it, with my own personal take. Either that, or something that appeals to my super-geeky side, like running a comic-con - I sometimes volunteer at comic-cons, and I love it! Q. When you hit a block or become unfocused, what inspires you to keep moving forward? Usually either dark chocolate (if I’m at work) or gin (if I’m not). I’ve been told I need to meditate, but it just makes me sleepy. Q. If you could master any skill or ability in an instant (no superpowers), what would it be? I’d love to draw - I’m absolutely terrible at it. That’s why I get Dean to do all of the design-y things for me. But there’s no reason why I can’t work on it. Maybe I’ll just start with stick figures for now. Q. What purchase has most improved your life? My beautiful cat Buffy (Lead Floofer at NSC). She cost just £20, but she’s worth so much more than money to Dean and I.
Q. What creative cliché do you hate, and which do you love? Just one that I hate?! I could honestly be here all night, I truly hate so many creative cliches. Generally, I really dislike acronyms, it just seems like people are shoe-horning jargon-y words to make something even more pithy. As for the creative cliche that I love, I would have to say one that I heard recently at Bath Digital Festival, which completely contradicts my previous statement - JFDI. “Just f***ing do it”. Simple, ballsy, and to-the-point. My kind of acronym. Q. If you could write a message on the moon for everyone to see, what would it be? 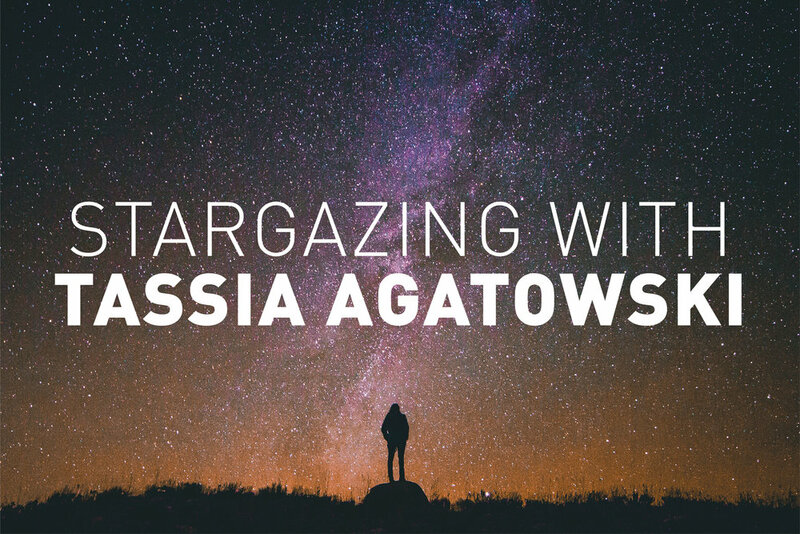 So that’s our 5 minutes’ stargazing with NSC co-founder Tassia Agatowski! To see Tassia’s latest geeky goings-on, check her out on Instagram.